Over 10 years of experience in web design from an idea, all the way to online success. 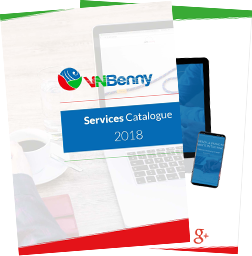 Having developed over 60 websites and worked on over 100 projects, VNBenny always exceeds expectations, no matter what type of project you have! We’ve taken extra precaution and covered all the GDPR requirements in our CMS with features such as personal data extraction/modification and elimination, including a breach notification interface and a consent saving feature so no third parties are needed for you to be on top of the privacy protection law. Ask us anything for free! We will do our best to answer your question to the best of our knowledge within 2 working days. We regularly send out offers and promotions as well as new services that we launch and general company updates, sign up below if you would like to be included in our list.